Finding buyers is easy. Finding the right buyers takes a strong marketing mix. Home buyers are more informed than ever before with online tools to help guide them in their search. 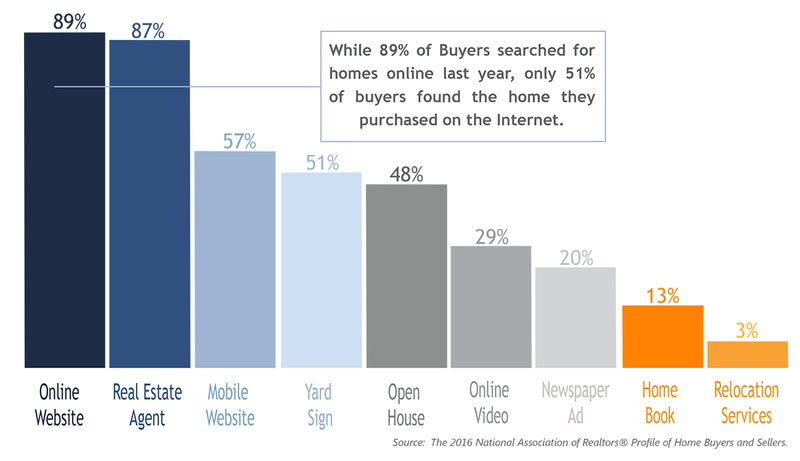 While 89% of home buyers are searching online for homes, only 51% find the one they purchased online. Homebuyers must search through thousands of listings, often across several mediums to find the right home that meets their pricing, location and lifestyle needs. Often searching online is a process of elimination rather than consideration. At Coldwell Banker Hickok & Boardman Realty, we believe we serve our clients best by investing in a strong marketing mix for client’s homes. From the moment, our clients’ home is listed; we are focused on making sure their property is represented in the best possible light with strong ad copy, quality photos and complete listings. We create a custom marketing plan for each property and provide targeted marketing well beyond the MLS system and the pool of Real Estate websites. Our marketing and networking efforts are designed to maximize the exposure our clients’ home and to generate the maximum amount of interest, finding the right buyer in the timeliest manner and ensuring the best interest of our clients. Below is a list different ways we market our clients’ homes and properties. Our Agents will provide a customized marketing plan and will periodically provide activity reports, marketing updates and any changes in market conditions. We are committed to providing exceptional experiences for all we serve. We believe offering our clients with robust marketing plan and transparency through reporting are key elements of providing exceptional experiences.